All thoftes and fancys to dygest. Thus schall I use me. One of my favorite scenes in “The Six Wives of Henry VIII” is Keith Michell singing this song. 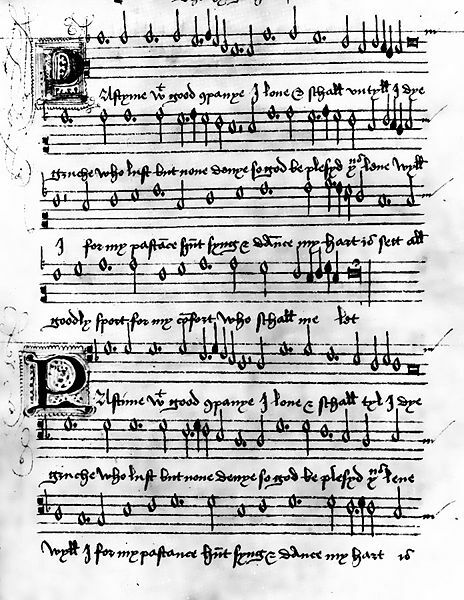 Love the picture of the manuscript. Thank you so much for posting this! Henry was a genuinely skilled musician; I wonder what might have happened to musical history if Henry had to make his living through his music. Welcome to the blog. Thanks for pointing out that the video no longer works. I have put in another video.